Dr. Venkat Narayanaswamy is interested in scramjet propulsion, laser diagnostics, and combustion. Prior to joining NC State, he was a Postdoctoral Research Associate at UT Austin and RWTH Aachen, Germany. Dr. Narayanaswamy’s long term vision is contributing to the development of next-generation clean and efficient propulsion technologies. Outside research, Dr. Narayanaswamy is interested in nature photography. 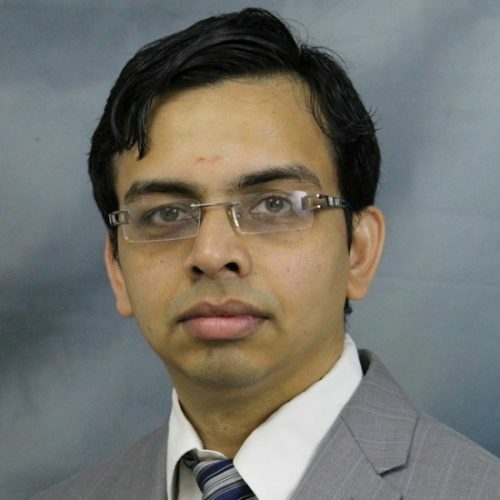 Dr. Narayanaswamy's research interest focuses on turbulent shear flows, which have common occurrences in several propulsion devices, where he performs laser-based experiments to understand the complex flow interactions that result in several undesirable phenomena like base drag, jet noise, flow separation, and pollutant emissions. He also develops novel plasma-based flow actuators that exploit the non-linear interactions in turbulent flowfield to effect base drag reduction, noise suppression, etc. In the long term, he envisions that these actuators will be integrated into the future propulsion systems. Pham, H. T., Gianikos, Z. N., & Narayanaswamy, V. (2018), AIAA Journal, 56(7), 2925–2929. Pickles, J. D., Mettu, B. R., Subbareddy, P. K., & Narayanaswamy, V. (2018), Experiments in Fluids, 59(7). Zelenak, D., Sealy, W., & Narayanaswamy, V. (2016), Journal of Quantitative Spectroscopy & Radiative Transfer, 174, 28–38. Funderburk, M., & Narayanaswamy, V. (2016), Physics of Fluids (Woodbury, N.Y.), 28(8). Clemens, N. T., & Narayanaswamy, V. (2014), Annual review of fluid mechanics, vol 46. Gampert, M., Narayanaswamy, V., & Peters, N. (2013), Experiments in Fluids, 54(12). Narayanaswamy, V., & Clemens, N. T. (2013), Proceedings of the Combustion Institute, 34, 1455–1463. To acquire a high speed laser system for high speed flow experiments. The proposed instrument acquisition is to enhance the existing award that seeks to contribute towards enabling precision munition with high maneuverability. Reliable ignition is critical to the operational performance of augmented military engines. Augmentors must reliably ignite when thrust is needed or system (and pilot) safety could be compromised. Augmentor ignition is particularly challenging relative to other combustion systems because the ignition system must function over an extremely wide range of conditions. Optimizing existing igniter systems and developing advanced igniter technologies offer the potential for increased reliability and durability in existing and future aircraft engines, but implementing these technologies in an engine is difficult because there is a lack of analytical tools that can aid the design and optimization processes. In the proposed effort, Creare and our university and OEM partners will develop analytical tools that will ultimately provide validated generic mechanistic tools that will allow for the efficient optimization of a broad range of future augmentor ignition systems. In Phase I, we will demonstrate the basic features of our modeling strategy and compare the results with ignition data provided by our university collaborators. In Phase II, we will enhance our modeling tools and validate them against an expanded set of data from our university and OEM collaborators. The overall vision of the proposed work is to contribute to the understanding of inlet unstart in practical scramjet engine configurations. The theme of this proposal is to answer â€œwhat basic physics relevant to unstart initiation and propagation are transferable between canonical axisymmetric and rectangular geometries that could be subject to unit problem investigation and more practical geometries?â€ Specifically, the objective of the proposed work is to unravel the feedback interactions between the boundary layer structures and separated flow in the isolator and the corresponding combustion processes. An experimental effort is proposed where unstart in an axisymmetric geometry held at different incidence angles will be generated by combustion. The vision of the proposed effort is to contribute towards precision ammunitions that can access very tight targets. The objective of the proposed effort is to develop a detailed understanding of fin-shock interactions with non-canonical turbulent boundary layers that develop over the missiles, which could be potentially leveraged to generate quick control forces required for high maneuverability. The project goal is addressed by experimental efforts (primary) as well as complementary computations. The experimental effort involves multidimensional flow quantification, time-resolved wall pressure measurements, and qualitative surface streakline visualization, which together address both the mean and dynamic features of shock/boundary layer interactions. Complementary computational simulations will aid in interpretation of experimental observations and deepen our insights gained from experiments. The proposed study is to unlock the physics that govern separated flow dynamics in axisymmetric inlets, which can help towards sensing and controlling inlet unstart. Outlined is a proposed 4-year research plan for the experimental investigation of jet flame phenomena relevant to basic combustion science, as well as to the determination of U.S. Army-relevant device operating parameters. Specifically, the primary scope of the research will examine fundamental phenomena in preheated hydrocarbon gaseous jet flames. Experiments examining various jet flame conditions, such as coflow velocity, vitiation, as well as preheating of reactants, jet velocity and temperature. A variety of optical diagnostic imaging techniques (OH- and CH2O-Fluorescence, Chemiluminescence, Rayleigh Scattering and Flame Index methods) will be utilized to experimentally uncover information on flame and flow behavior in these situations. An improved picture of the impact of hot product recirculation and with a variety of high temperature reactants on flame characteristics is desirable fundamentally. Understanding potential combustion control mechanisms and mechanisms for extinction/ignition issues in practical devices are all served by this research. The intellectual merit of the proposed activity centers on the insight gained into the fundamentals of the reaction zone behavior and associated characteristics such as flame autoignition, re-ignition, stabilization and local extinction. A comprehensive and integrated understanding of these mechanisms and flame phenomena, spanning coflow temps and vitiated air temps to over 1000K, is a major objective of the research. An improved understanding of the mechanisms producing such behavior is important for combustion science, as well as understanding combustor flowfields. The research plan will further integrate the research efforts of the two primary investigators, as well has have potential for breaking new ground in the arena of preheated reactant flame studies. Students (Grad and Undergrad) will be actively involved in this experimental research. The objective of the proposed work is to develop a non-intrusive spectroscopic temperature and pressure imaging technique, which: 1) does not require prior information about local chemical composition; 2) can be performed using species in situ combustion mixture; and 3) can be applied to realistic turbulent flames at high Mach numbers with local extinction, high flame wrinkling, high pressure, and with laden particles. A dual excitation linewidth approach is proposed for thermometry, which leverages the Doppler and collisional broadening phenomena to map the fluorescence signal ratio between the two linewidths to corresponding temperature. For simultaneous temperature and pressure measurements, a spectral scan of absorption of the fluorescing species is uniquely mapped to temperature and pressure using synthetic fitting procedure. Whereas externally seeded krypton gas is proposed to be used for proof-of-concept thermometry and pressure measurements during the first half of the project, the latter half will involve measurements using hydrogen atoms that are present in-situ combustion mixtures. The proof-of-concept measurements will be made in different facilities available in PIâ€™s lab, which include static heated cell, 1D flat flame, laminar jet flames, and turbulent flames. An optically accessible pressure vessel that houses these burners will be constructed for proof-of-concept temperature and pressure measurements. The outcomes of this project have direct relevance to the Energy, Power and Propulsion (RTE) of WPAFB and Energy conversion and Combustion Sciences portfolio of AFOSR. The techniques developed can be used for thermochemical imaging to uncover the turbulence/chemistry interactions that occur in practical combustors, where complicating effects from flame wrinkling, flow compressibility, extinction effects, etc. are significant. The techniques developed can also be potentially extended to ground-testing and evaluation applications. The proposed technique provides free positioning of measurement locations and sensitivity over wide temperature and pressure range; however, uv-grade windows are required for its implementation. The proposed work is motivated to enhance our understanding of shock interactions that lead to unstart in low/no bleed inlets. Considering the corner boundary layer interacting with an impinging oblique shock triggers the unstart shock formation, the first part of the proposed effort is to delineate the mechanisms that contribute to the dynamic growth of the separated corner flows. The focus of the latter part of the proposed effort is to elucidate the interactions between a shock-induced separated corner boundary layer and separated centerline boundary layer; this interaction is responsible for the upstream propagation of the unstart shock that completes the unstart event. The specific questions that will be answered through this effort include: Q1. What are the driving mechanisms of the shock-induced corner separation? How do the driving mechanisms evolve with increasing inviscid shock strength? Q2. How does the shock-induced corner separation interact with the centerline separation for a given inviscid shock strength? At what corner separation strength, corner separation extent, etc., do the two separation units influence their mutual growth? Q3. How does the dynamic coupling between corner and center separation occur in a transient pressure rise event? The objective of the proposed work is to develop a non-intrusive spectroscopic temperature and pressure imaging technique, which: 1) does not require prior information about local chemical composition; 2) can be performed using species in situ combustion mixture; and 3) can be applied to realistic turbulent flames at high Mach numbers with local extinction, high flame wrinkling, high pressure, and with laden particles. A dual excitation linewidth approach is proposed for thermometry, which leverages the Doppler and collisional broadening phenomena to map the fluorescence signal ratio between the two linewidths to corresponding temperature. For simultaneous temperature and pressure measurements, a spectral scan of absorption of the fluorescing species is uniquely mapped to temperature and pressure using synthetic fitting procedure. Whereas externally seeded krypton gas is proposed to be used for proof-of-concept thermometry and pressure measurements during the first half of the project, the latter half will involve measurements using hydrogen atoms that are present in-situ combustion mixtures. The proof-of-concept measurements will be made in different facilities available in PIâ€™s lab, which include static heated cell, 1D flat flame, laminar jet flames, and turbulent flames. An optically accessible pressure vessel that houses these burners will be constructed for proof-of-concept temperature and pressure measurements.